Wondering how well you are doing? 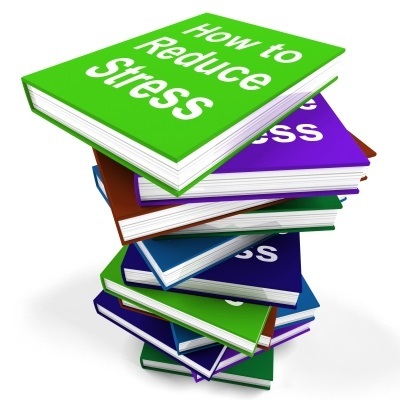 Click here to receive free of charge our stress screener test. Here are ten of the most common stressors followed by a few quick and easy strategies for copying with them. We suggest picking one problem at a time and working towards relief in small steps. Use simple time management principles that include identifying your priorities and either delegating or removing unimportant or unnecessary tasks. You also can map out your day, task by task, setting aside time for things that often take up a lot of time, but few people think to schedule time for, such as returning phone calls or responding to emails. If no matter how hard you try, you always seem to be late, then you’re not giving yourself enough time, so schedule yourself an extra 15 minutes to get to your destination and remove the constantly rushed feeling from your life. Ask for help. The strongest people ask for help when they need it, so why go it alone? If the problem is work related, talk to trusted co-worker, an understanding boss, or a close friend. In some situations, you can call the local library, read books, listen to CDs, or contact an organization that may be able to provide you with the information you need. You can also use these some resources to learn relaxation techniques. Bring in reinforcements. Hire household help. Have a family meeting to consider who can pick up some of the responsibilities that have somehow fallen on your shoulders. Ask your boss to give you some additional support until you get out of the weeds. Shop online to save time. Take a hard look at your activities and decide what is essential and what can take a back seat for now. Use mini-stress relievers, like opening a window and breathing in fresh air, taking a quick walk in the sunshine, or deep breathing at your desk. Find a few minutes each day to slow down and pay attention to one thing that you find relaxing and calming. Try the mini-stress relievers above, or a little exercise to relive the tension, such as brisk walk, a quick run, a sprint up and down the stairs, or arm curls while you wait at traffic lights. Reframe negatives into positives. Remember that the benefits of optimism are happier life and better health. Laugh as often as possible. Watch or read comedies. Make a list of things you’re grateful to have. 8.) Contact us now to bring balance back to your life. Copyright 2015 Hmworks.nl | All Rights reserved.